Today I hit 35 weeks(can't believe how close we're getting to having this baby!). I had a sonogram this morning and we were able to catch another glimpse of our little boy. He was quite the entertainer: moving around, opening his mouth, swallowing, sticking out his tongue and rubbing his little eyes(pictured below). It was so sweet!! Here is a good profile picture. . .so cute. We are so excited and anxious to meet him! 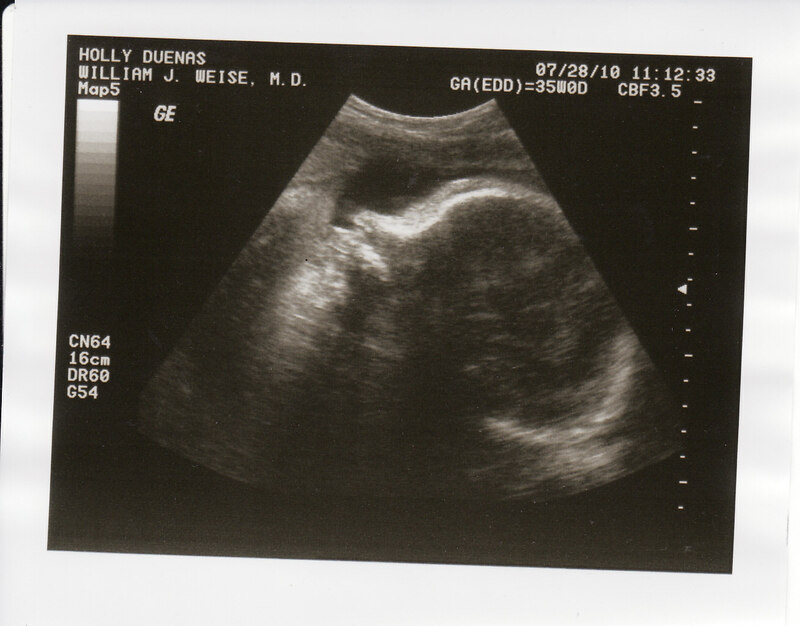 The sonogram showed he is about 5 lbs 12 oz right now so if he gains half a pound a week, he'll be about 8 pounds-ish, which is what I was expecting. The girls were all right under 8. Everything on his body is looking perfect and measuring right on schedule. 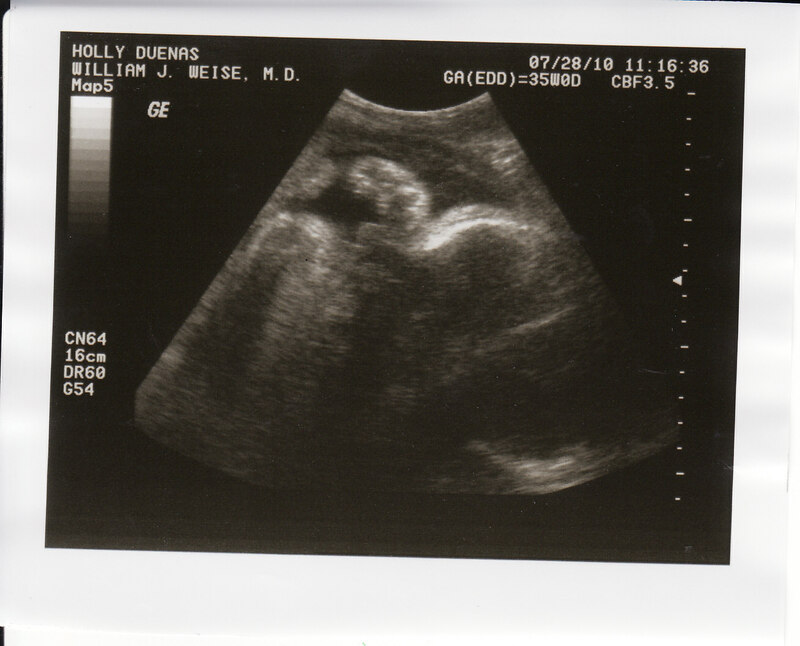 We are so grateful he is healthy and strong(very strong I must add-hes got quite the kick!) Its crazy how I haven't held him or seen him face to face, yet I love him so much. Its extraordinary and I'm so thankful for this little miracle. We love you Ammon! Wow its so crazy how time is wizzing by and he is definitely growing. Perhaps he's practicing his paddling out to the surf on his dads surf board or snow board or one of those dad things. Anxious to hear and see him as well. And Oh, how I love that name! HOLY HANNAH!!!! So stinkin excited for you guys...have I mentioned that before? Cuz its the truth!! !